Burning Wood: Records I Enjoy More Than Pet Sounds & Sgt. Pepper Volume 2: XTC "Skylarking"
Records I Enjoy More Than Pet Sounds & Sgt. 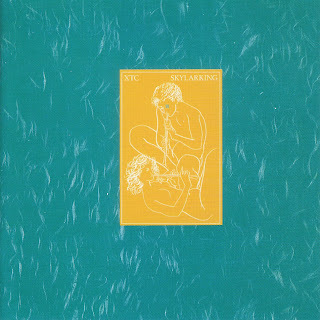 Pepper Volume 2: XTC "Skylarking"
The story of "Skylarking" is a notorious one. On the verge of being dropped by their label, XTC were in need of something big. 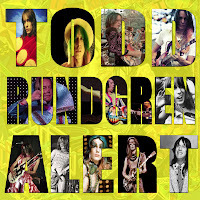 That something was producer Todd Rundgren. 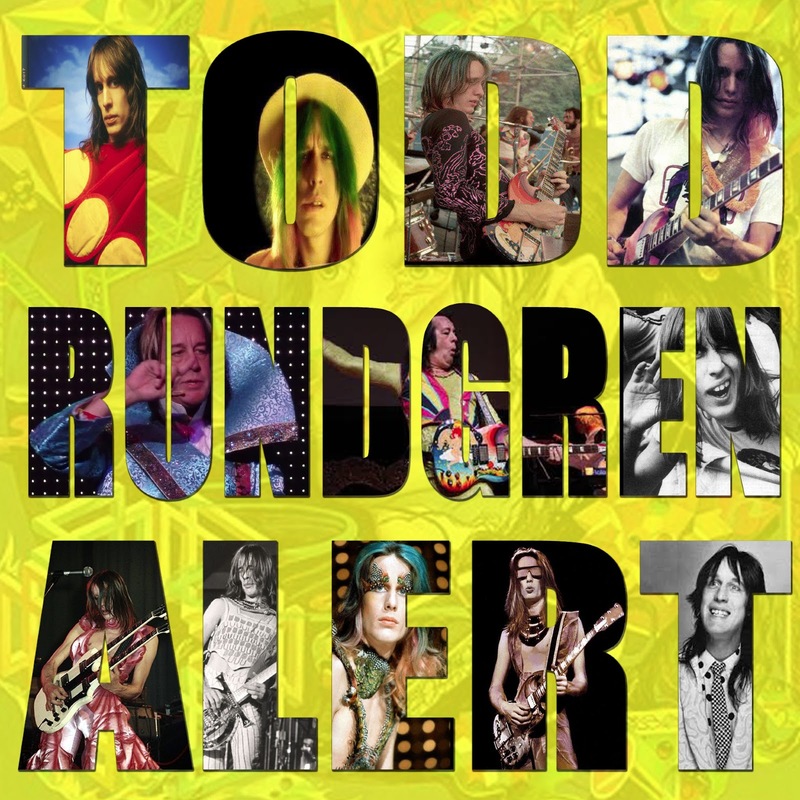 History was made, not only with the success of the music, but with the now legendary rift between Andy Partridge and Rundgren. I mentioned in Volume 1 that the main reason "Pet Sounds" doesn't work for me the way it works for so many is the inclusion of just a few too many clunky songs, breaking the flow of an otherwise spectacularly beautiful record. With "Skylarking," it's all about the sequencing. Oddly enough, the flow of the record is both my favorite thing about it and the one thing that bothers me. As the story goes, Andy Partridge and Colin Moulding delivered somewhere between two and three dozen demos to Todd Rundgren, which he took, sequenced and pretty much proclaimed, "We're done. Here's your record." Not exactly what XTC had in mind when reaching out to the producer. Yet Side One, with it's running themes of summer and love is about as perfect as any Side One in the history of music. The opening 1-2 punch of "Summer's Cauldron" and "Grass" sets the table for what will be a masterwork of 60's pop and psychedelia with some of Partridge's most inspired lyrics and melodies. Colin Moulding's contributions are nothing to shake a stick at either. But all of this works thanks to what is arguably Todd Rundgren's finest moment as a producer. Then... there is Side Two. While it certainly has its moments, the pop sunshine has now given in to some darker material and what we get is a collection of tunes that experiments with swinging 60's jazz, classical and folk. The cohesion of Side One is a bit lost on Side Two. Geffen Records must have felt the same way and second pressings of "Skylarking" scrapped "Mermaid Smiled" in favor of "Dear God," a demo initially left on the cutting room floor and a song that cracked Billboard's Top 40. More history. I rarely play Side Two of "Skylarking." Side One is so fulfilling at 24 minutes, I just don't need Side Two. But I've learned something over the years. While listening to my iPod on shuffle, songs from Side Two would play randomly and each time I was just as stirred. The pulsing pop perfection of "Earn Enough For Us" is XTC doing XTC, but it is songs like "Another Satellite," "The Man Who Sailed Around His Soul" and "Dying" that really take the listener to a wonderful new place. "It's possible you're having '60's Pop Fatigue. You are old, after all, and you've listened to both of those albums countless times. It's only natural that you would become more critical of them." A friend once said, "I played Exile On Main Street so many times in 1973 and 1974, by 1975 I never wanted to hear it again." I am not that person. I've listened to The Beatles and the Stones and the Beach Boys and all of the music I love consistently since day one and I just never tire of it. I played "Sgt. Pepper" the day after I wrote last week's post about World Party and loved every second, still finding something new to cherish, whether it was a harmony in "Getting Better" or a bass line in "Fixing A Hole." My goal wasn't to "criticize" those two legendary records. It was to discuss some records that just might deserve the same status. Records that just might play better. As for "Skylarking" and it's sequencing, I shudder to think of messing with Side One, and while it would be easy to just reconstruct the sequencing to include some of Side Two on Side One using iTunes, I'd rather think of what might have been if it was done before its release in 1987. The way I heard it was The label gave them a list of producers and they picked Todd because they'd heard of him. "Skylarking" is one of my all-time favorites. I liked a lot of their first album, especially the single version of "This Is Pop", but "All Along The Watchtower" is a mistake that's hard to ignore. I bought "Drums And Wires" and just as I was getting into it received the dumping of my life. I still can't listen to it. I moved from SoCal to Wilmington, North Carolina in 1986. I went as a Sun Records, roots music maniac, only to find all my new friends into British new wave. Especially XTC. "Skylarking" came out at a perfect time for me to fall in love with it. I got a copy of the cassette the day it came out. There was no side one or two, as it occupied Side A of a 90 minute cassette backed with the soundtrack of "Blue Velvet". I played the whole thing over and over. Note: "Blue Velvet" came out about the same time, and I lived in the neighborhood where it was filmed. I consider "Dear God" an uninvited guest. It flows much better in it's original form. A much better album than "Pet Sounds". I haven't listened to this album for way too long - at least a decade. Thank you for returning it to the top of my playlist. Recall it being absolute perfection for a lazy spring day. And while I do like 'Dear God' I agree that in album context it's a bit of hiccup. Thanks again! Now you're in the ballpark. A truly legendary album that can stand next to those 2 legendary albums. I'm not as bothered by the sequencing on side 2 as you are but I do understand your point. Total brilliance none the less. I've never had an issue with side 2, love the whole thing. In fact I was considering putting it on my ipod yesterday, having a quick smoke and heading to the hammock...for some reason this is the quintessential summertime record for me (possibly because of the opening lines...). Of course, other stuff precluded my plans. Maybe tonight. But anyway, I've always taken it as a whole and never thought twice about it. Addendum: While searching my iTunes for 'Skylarking', I found The Dukes of Stratosphear's two excellent outings from this time frame: '25 O'clock' and 'Psonic Psunspot'. It's going to be a pstellar day! Thanks again! I love Skylarking and I love "Another Satellite." Perhaps as a drummer, you can explain to me why I love pretty much every song that uses the word satellite -- there's something about the rhythm. Also, in the late 80s I was a poor college student who would often browse through your store and rarely bought, but one time you saw me browsing XTC and insisted I buy the Dukes of Stratosphear cd. I don't think I've thanked you for that, so now, thank you. Skylarking came out shortly after I moved to New York, so, like buzzbaby, I have many fond associations with the songs. It's funny, though the album came out in October, it's definitely a summer album for me. That first side is perfect Sal, but I think the second side holds up just as well--including Mermaid Smiles. I'm not that fond of Dear God, actually. Andy Partridge has a tendency to be a little heavy handed lyrically on occasion, and I find that the case here. Another example would be Here Comes President Kill Again off of Oranges and Lemons. But damn, this starts quit a roll for XTC: Skylarking, 25 O'Clock, Oranges and Lemons, Psonic Psunspot, and Nonsuch.